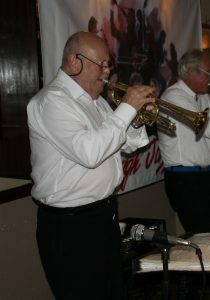 Mike Barry, Band leader and trumpet player 2016. Photo by Mike Witt. MIKE BARRY’S FRISCO FANATICS are coming to town (well the country side – ha) bringing that ‘West Coast jazz’ sound this Friday, 8th June 2018. 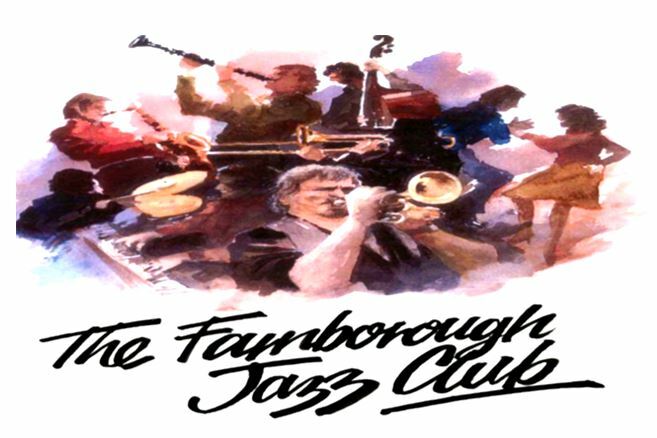 MIKE is bringing some great guys with him especially for you to enjoy both listening and dancing to, at our Farnborough Jazz Club, Kent (BR6 7BA in the Sports Club). These lovely musicians are to be TONY TEALE on clarinet, LES HANSCOMBE on trombone & vocals, GRAHAM BARTON on piano, JOHN SMITH on banjo, COLIN GRAHAM on sousaphone and BRIAN STAPLEY on drums. Mike says this band is looking at 1900’s-20’s West Coast sound as played by such bands as ‘Firehouse Five Plus Two’, ‘The Original Salty Dogs Jazz Band’ and ‘Turk Murphy & His Frisco Jazzband’, plus ‘Bob Scobey’s Frisco Band. All of which had enjoyed the likes of Armstrong’s Hot Five, ‘King’ Oliver Original Dixieland Jazz Band, ‘Bix’ Beiderbecke and not forgetting ‘The Original Dixieland Jazz Band’. I asked Mike about his cornet and he said it’s a hybrid instrument called a ’cornet-trumpet’! Well if all this info doesn’t pull you in to our fun jazz club in your hoards (preferably by coach) to enjoy, I don’t think anything will. This entry was posted in Mike Barry's Frisco Franatics on June 5, 2018 by Diane. 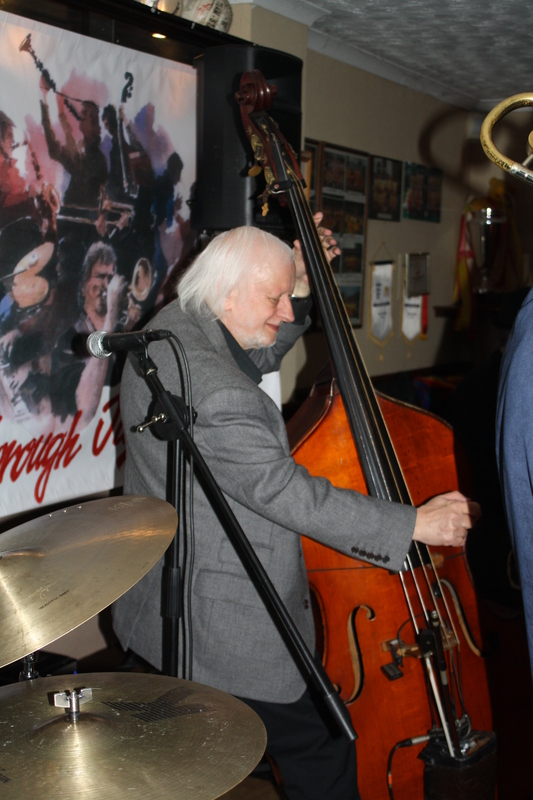 Trefor ‘Fingers’ Williams with Jonny Boston’s Hot Jazz on tour play at Farnborough Jazz Club 4th March 2016. Photo by Mike Witt. It is with great sadness that I tell you of the passing of Trefor ‘Fingers’ Williams, a wonderful member of one of Mike’s Band. I hope to be bringing you a Tribute to this magical bass player and lovely man in a short while. Trefor, who died 5th September 2017, was bass player (with ‘Max Collie’s Rhythm Aces’ and ‘Phil Mason’s All Stars’), I know everyone will be saddened by this news, but tonight we will celebrate his life. Colin Dobson, well known on trumpet with the Billy “Wakey, Wakey!” Cotton band , and a jazz legend in his own right, is a regular visitor to Farnborough Jazz Club where his opinions are often sought by other trumpet virtuosos with regard to their performances. Here Mike Barry, trumpet man with his own XXL band, discusses technical points with Colin over a friendly pint of Spitfire bitter. 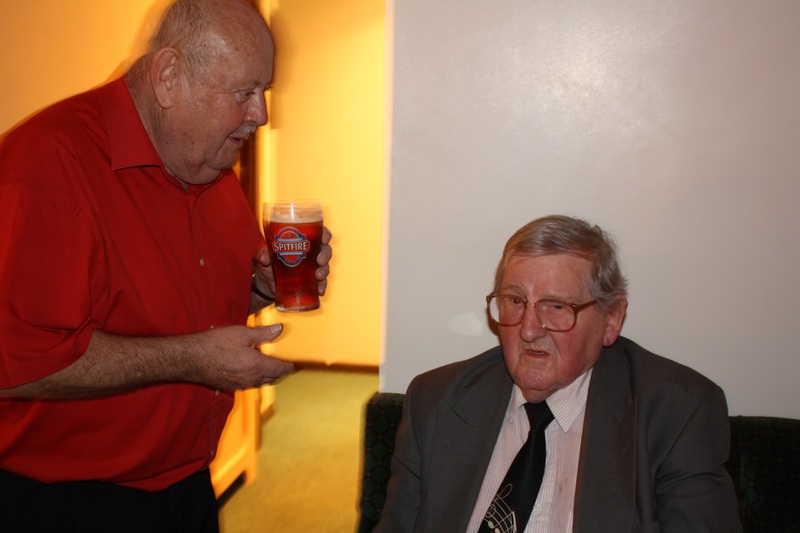 Two veteran jazzmen find harmony at the popular Farnborough venue. Photo by Mike Witt. Coming tonight, FRIDAY, 15TH SEPTEMBER 2017, Mike has this band the ‘MIKE BARRY’S FRISCO FANATICS’, here at FARNBOROUGH JAZZ CLUB, Kent. By the way, today is actually the 77th Anniversary of the Battle of Britain. Last year, Keith held his art exhibition, showing all his wonderful Spitfire and Hurricane water colour paintings (he will be bringing a print of one to show you)……Back to the jazz – MIKE, trumpeter and vocalist, has three bands. It has been a year since we had these Frisco boys though, but not because we don’t love them. They are a really happy band and we know you will enjoy them and their music. 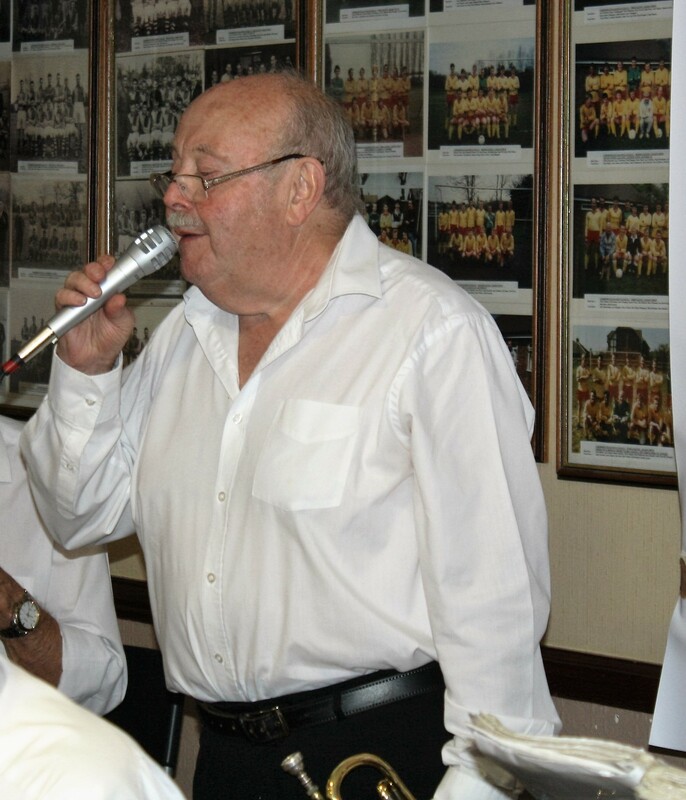 The musicians accompanying Mike will be TIM HUSKISSON on clarinet and LES HANSCOMBE on trombone & vocals. Also GRAHAM BARTON on piano, JOHN SMITH on banjo, MARC EASENER on sousaphone and BRIAN STAPLEY on drums – yes a great line-up. If you all try to get here early, we will start at 8:00pm. All are welcome, we love plenty of dancing and we have a good bar. So come and enjoy yourselves, we do expect a great evening. This entry was posted in Mike Barry's Frisco Franatics on September 15, 2017 by Diane. It’s been such a long time since MIKE BARRY has brought his ‘FRISCO FANATIC’ boys to our Farnborough Jazz Club and we are really looking forward to seeing them back again this Friday, 7th October 2016. The guys in the band are MIKE on trumpet, with BRIAN WHITE on clarinet, LES HANSCOMBE on trombone, GRAHAM BARTON on piano, NICK SINGER on banjo, MARC EASENER on sousaphone and BRIAN STAPLEY on drums. So get your buts down (or up, depending where you live) to Farnborough (Kent), where you will have a super time. Great bar, plenty of dancing and certainly fabulous music. This entry was posted in Mike Barry's Frisco Franatics on October 7, 2016 by Diane.